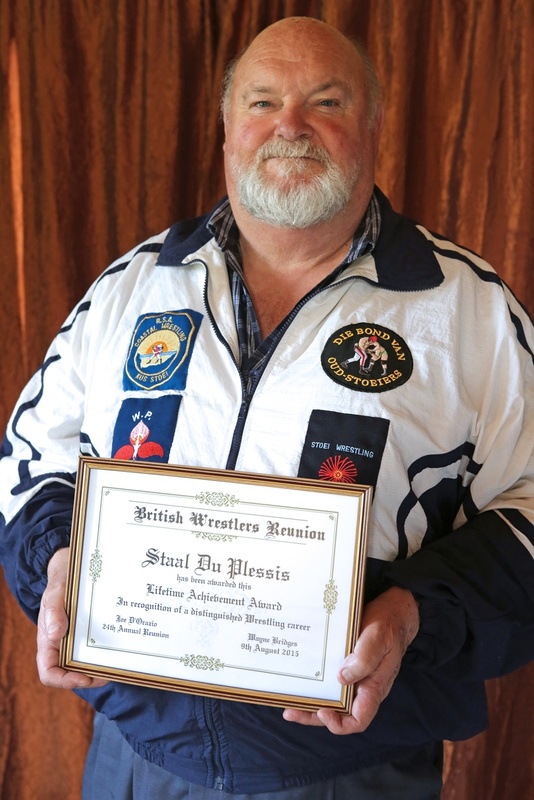 This year, the British Wrestlers Reunion was pleasantly surprised to welcome the South African Heavyweight Legend : Staal Du Plessis to our shores, where he received a well deserved lifetime achievement certificate from former adversary Roy St. Clair, in honour of his most distinguished wrestling career in the Cape. 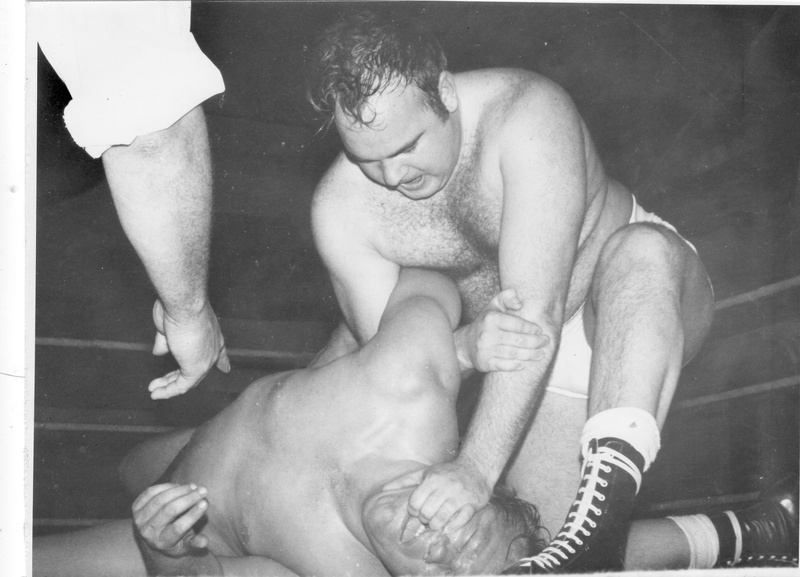 He started wrestling in 1968, touring the Provinces with his own brand of hard hitting villainy, and it wasn't too long before he was topping the bills as main event , often travelling 8-10000 kilometres per month and performing in front of huge crowds ranging from 1000 to 7000 per show. 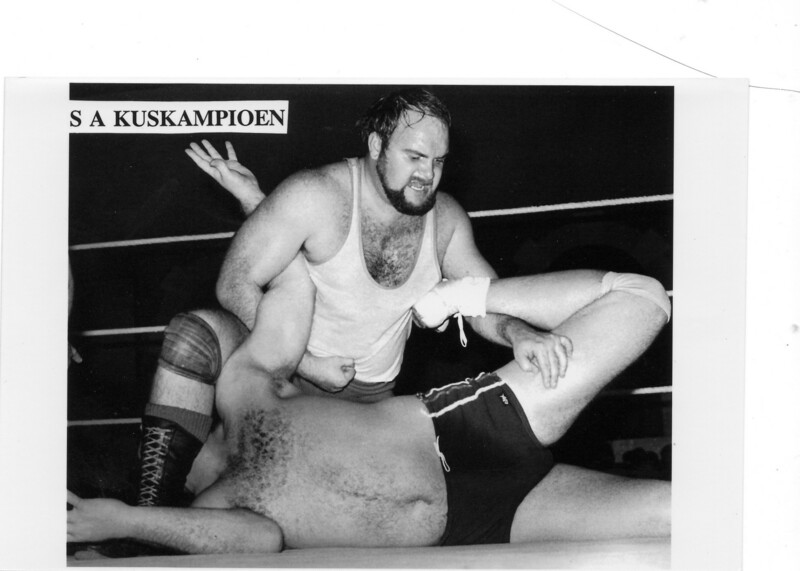 Staal encountered many Foreign opponents during his illustrious career including our own heavyweight superstars like Tony and Roy St Clair, Colin Joynson , John Lees, John Killer Kowalski, to name a few,plus ex pat Sean Regan who has remained a close pal ever since emigrating to that fine Country. 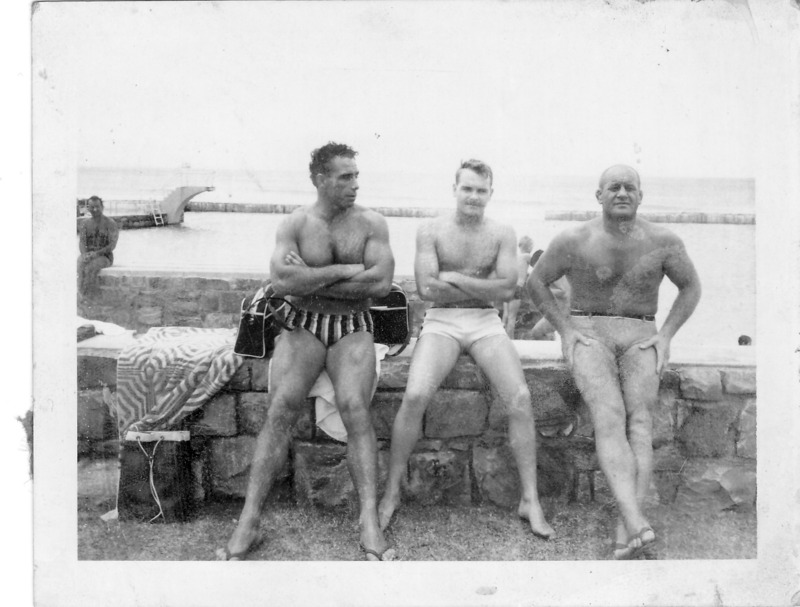 Staal remained in Capetown, while Sean settled in Durban. 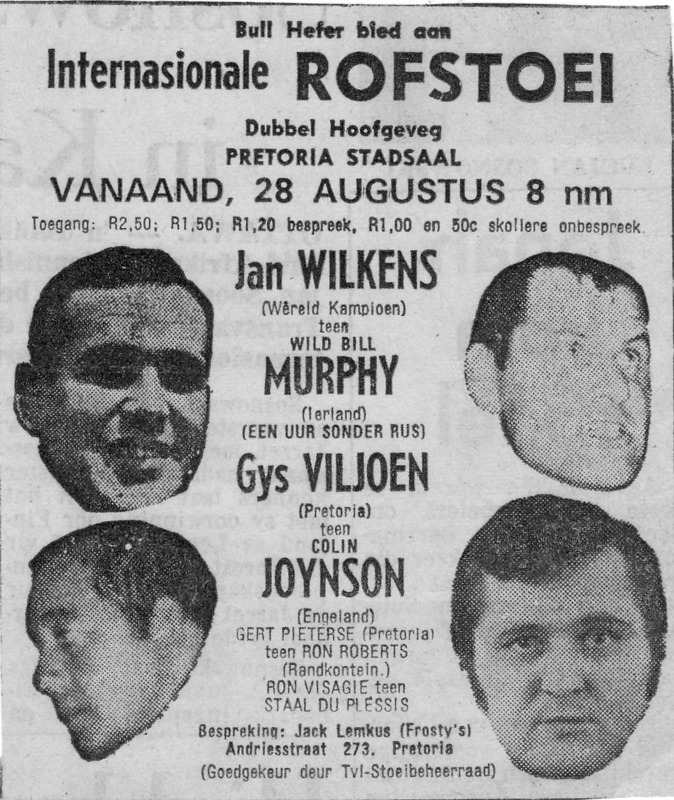 Whereas the U.K. lost popularity with the demise of TV coverage, South Africa was governed by a Board of Control which was disbanded by the Government in 1990 , resulting in a similar demise for the wrestling Business over there. 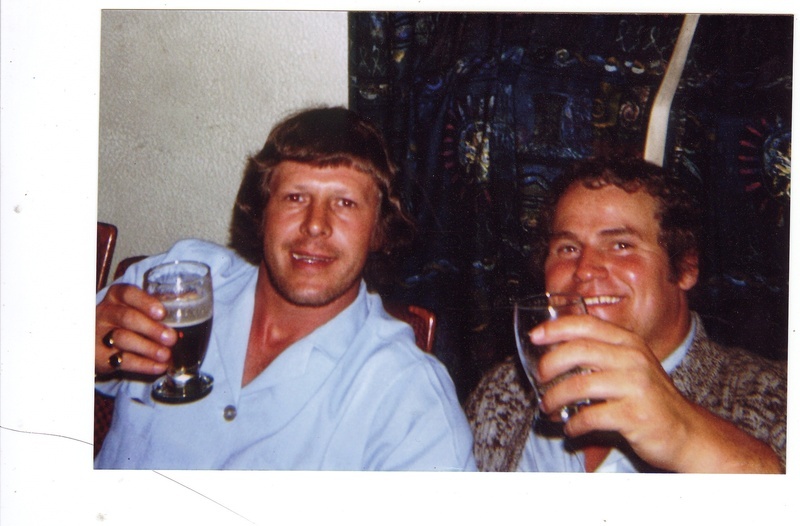 Du Plessis decided to retire from the game in 1990 and concentrate on building his own Business in cold store facilities for fruit and veg., which brings him to the U.K. on a regular basis to view storage centres in the Isle of Sheppey and other areas of the Country. 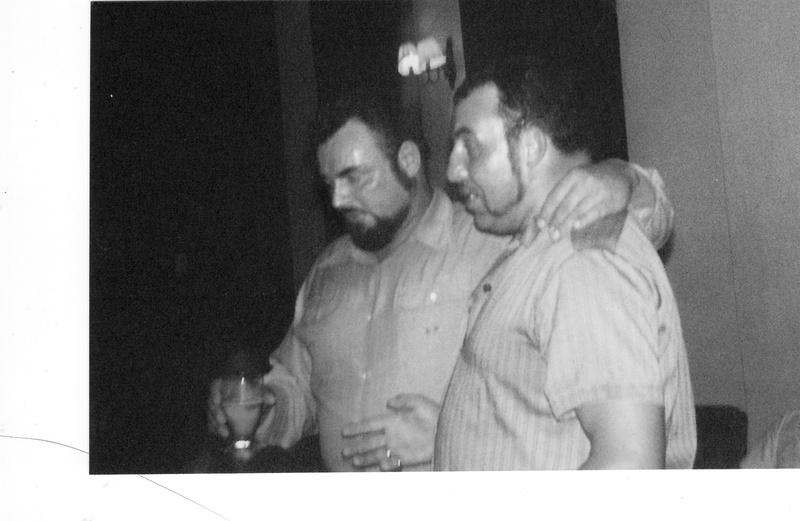 He was also raising his Sons in Sport, and turned back to his roots of Amateur wrestling . 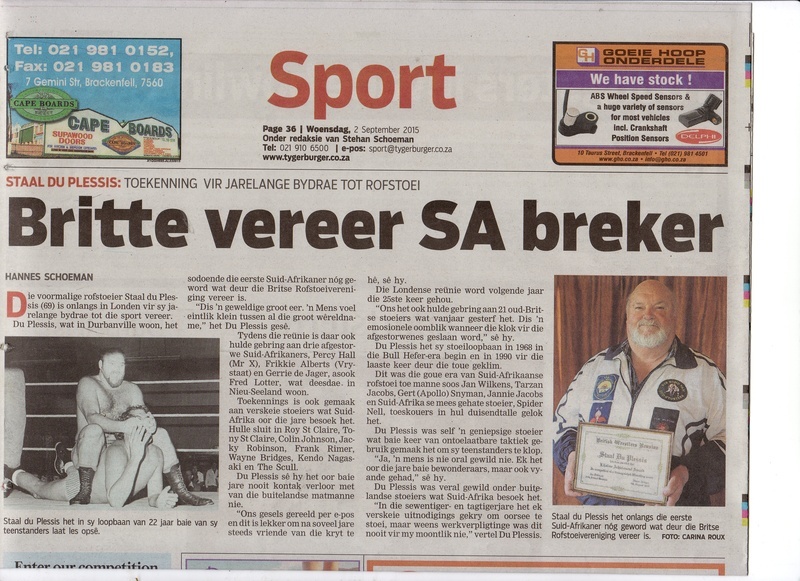 His eldest son was rated number 4 in the world by 1993 in Duisburg Germany and has been SA champ for quite a few years. The second boy choosing a different sport started tennis with a pro at the age of 5 and represented their province (Cape) at the age of 6. He started competing seriously at the age of 14 and won quite a few titles. Staal's wife and the lads Mother played senior netball but sadly lost a leg due to cancer 16 years ago. Twelve years ago, he was asked to head the South African version of the Wrestlers Reunion, a job that he has diligently undertaken ever since. 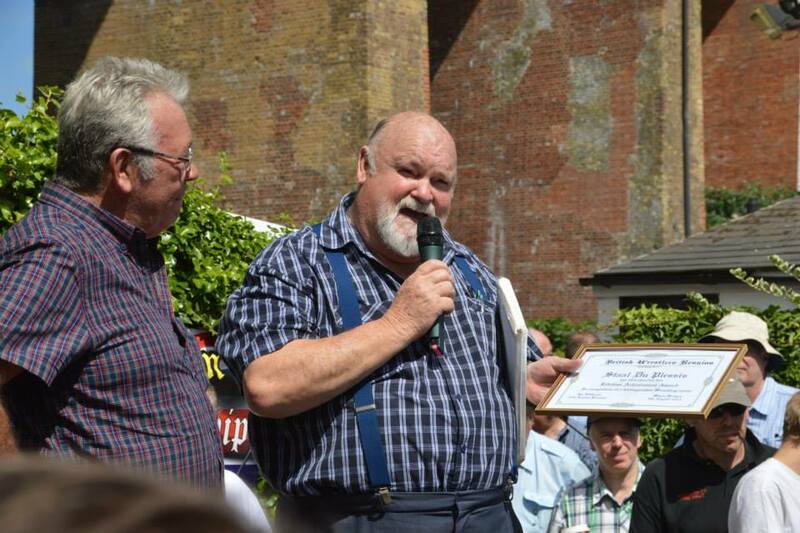 The Brits gave recognition to the SA fighter. support to the sport over many years. wrestlers that participated in England, Europe and all over the world. that visited our country and still do via e-mail and the odd phone call. sad moment when the bell rang to say a final farewell. 1900 when the best of the best visited our country to compete with our boys. rules and was known to bully his opponents. were shown around our beautiful country.